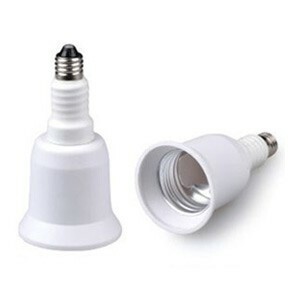 E11 (male) to E26/E27 (female) Adapter Converter. Adapts E11 base to E26 base. Approximate size is 2.02in x 1.71in. The rated current is 10 amps. The rated voltage is 220 volts. The rated power is up to 2200 watts. CE approved.